Windows 10 Start menu shows your frequently used apps in "Most used" section and your recently installed apps in "Recently added" section in Start menu. 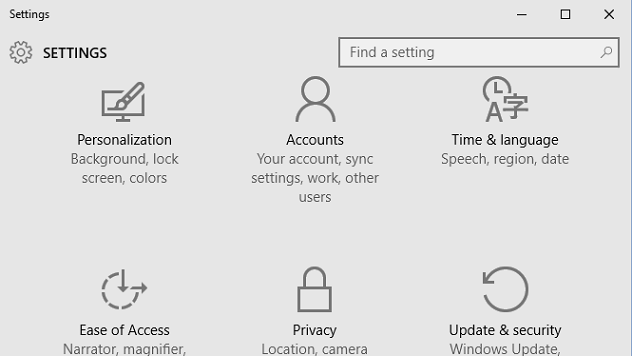 If you don't want to see these sections in your Start menu, Windows 10 provides customization options to hide them. Use below steps if you prefer to hide "Most used" and "Recently added" sections from Windows 10 Start menu. In right pane, set below options to hide "Most used" and/or "Recently added" apps from start menu. Set toggle button under "Show most used apps" to Off to hide "Most used" apps section from Start menu. 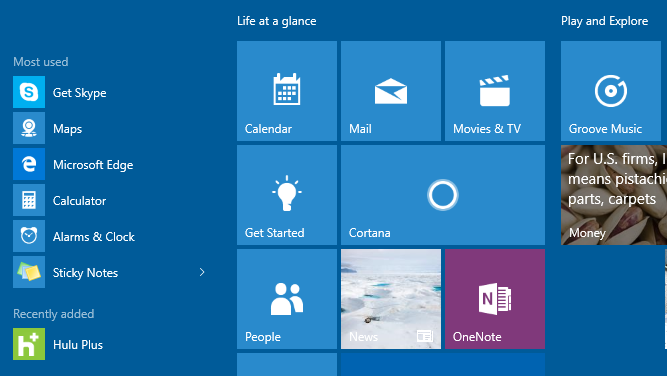 Set toggle button under "Show recently added apps" to Off to hide "Recently added" apps section from Start menu. 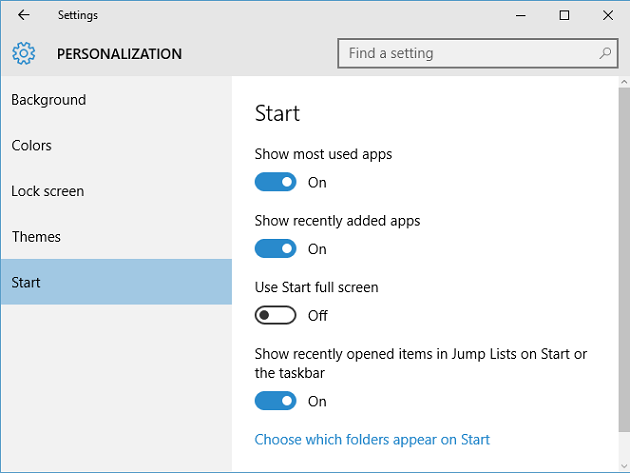 You can also set above settings to On if you want to re-enable seeing "Most used" and "Recently added" apps in Windows 10 Start menu.